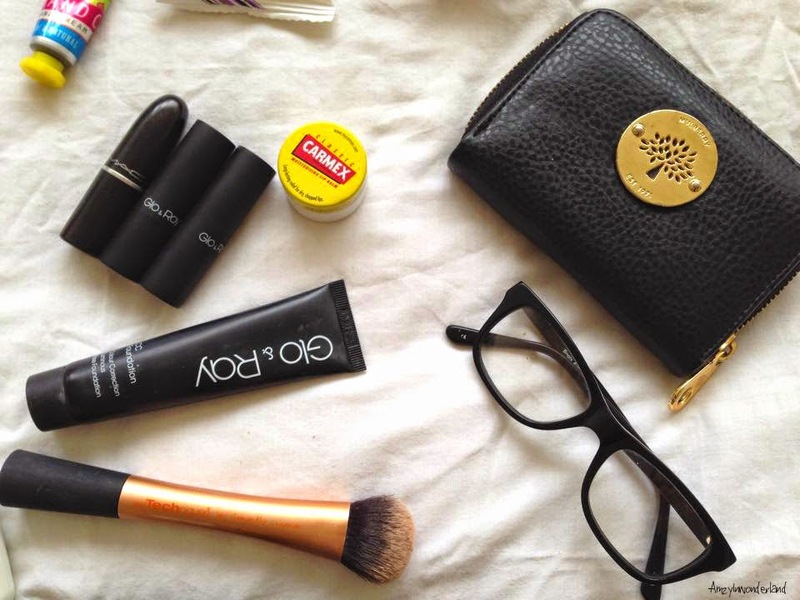 Now we're finally in Spring, I thought it was time to update the products within my bag to suit the season. Usually you'll find a ridiculous amount of receipts, pennies and food wrappers within my bag so it's nice to clean my bag out. It's amazing how many old receipts you can find in a girls handbag. 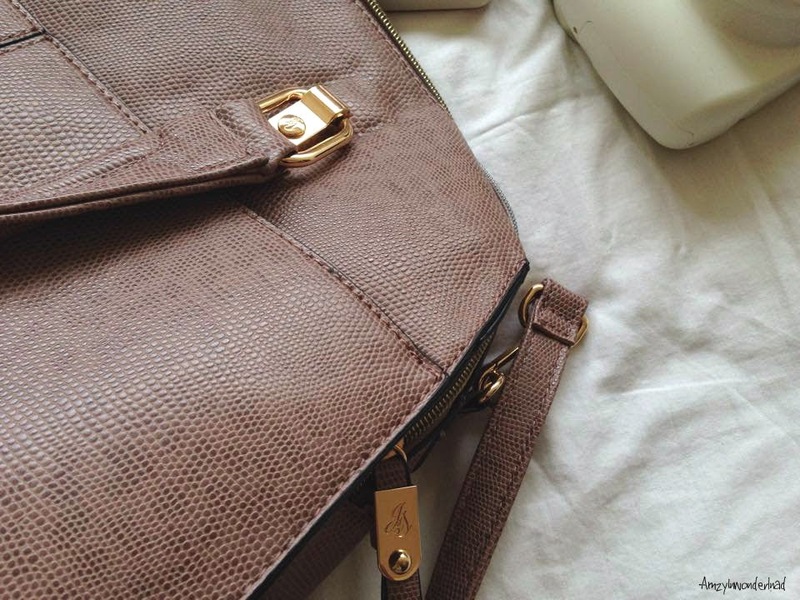 I purchased my Jane Shilton handbag from TK Maxx, I saw it on the shelf and fell in love with it instantly. I bumped into a friend who works there and she gave me a discount code, so I ended up paying around £25 for the handbag. I wouldn't normally have three cameras in my handbag but due to the lovely weather, you never know when you're going to get a beautiful shot. 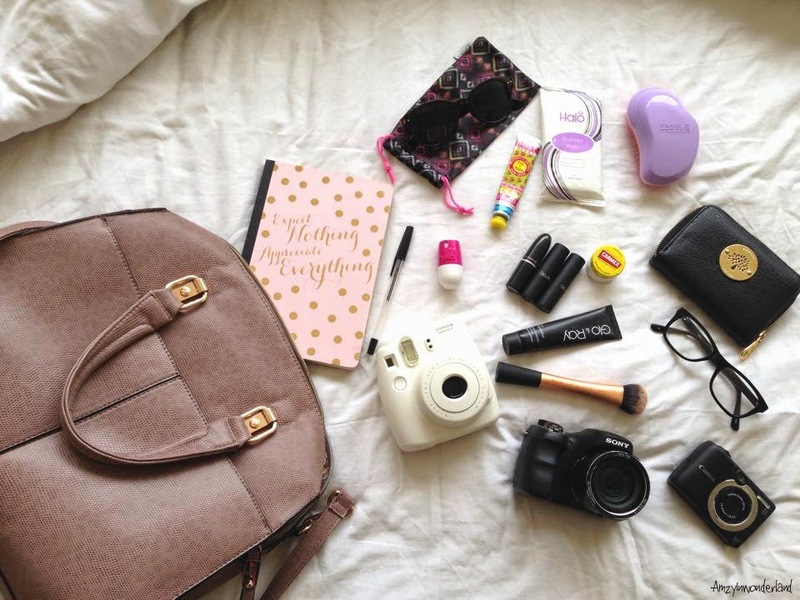 What's your favourite products in your handbag? I need a polaroid camera! My favourite MAC lipstick shade! 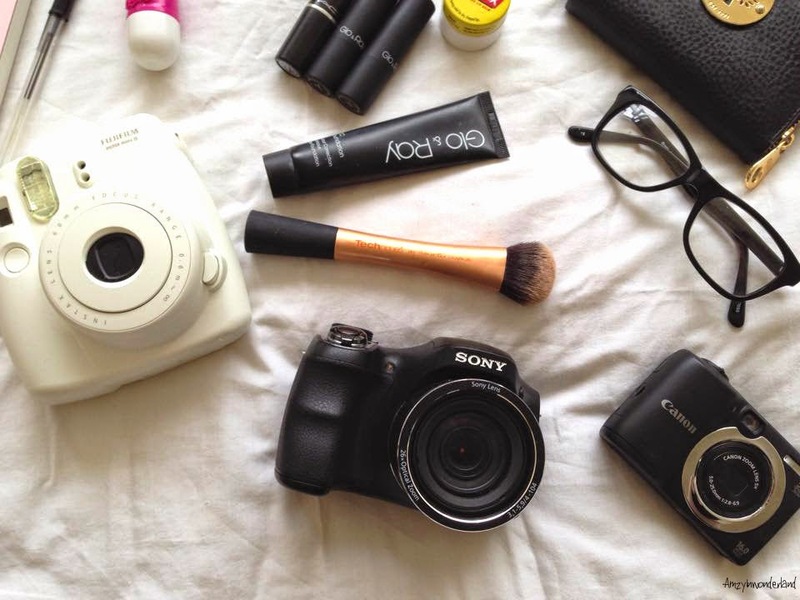 Ohh I so want one of those cameras, they just make the perfect handbag edition! I always have some Rimmel Stay Matte powder to touch up during the day. I have been wanting a tangled teezer for so long! Great essential! 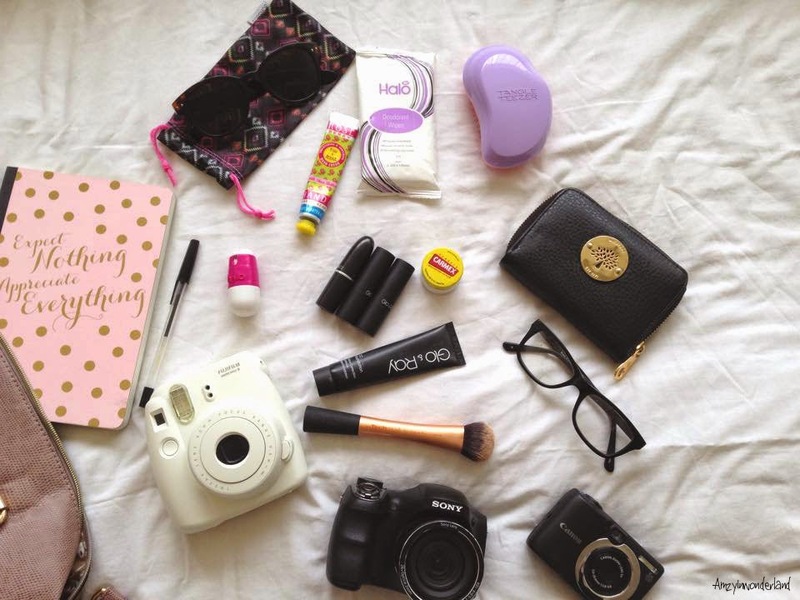 :) Cute blog!